Arianwyn has flunked her witch’s assessment: She’s doomed. 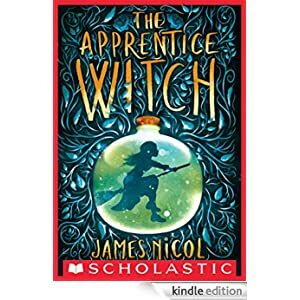 Declared an apprentice and sent to the town of Lull in disgrace, she may never become a real witch– much to the glee of her arch-rival, Gimma. But remote Lull is not as boring as it seems. Strange things are sighted in the woods, a dangerous infestation of hex creeps throughout the town, and a mysterious magical visitor arrives with his eye on her. With every spirit banished, creature helped, and spell cast, Arianwyn starts to get the hang of being a witch–even if she’s only an apprentice. But the worst still lies ahead. This fantasy is for readers in grades 4-8 and is selling for $1.99 today.